Sunny Siesta RV Park has been a mainstay in Sylvan Lake for families all over North America for over 20 years. Located 3 Km south of the lake shore directly on main street, we are close enough to town to allow people to take advantage of everything the town offers while also providing a quiet getaway. We are a strictly seasonal RV Park booking our sites for a year at a time.We no longer take reservations for nightly or weekly terms. Pets are welcome by management (we have our own dog, Olive). Animals must be kept on a leash, except when in a fenced yard. 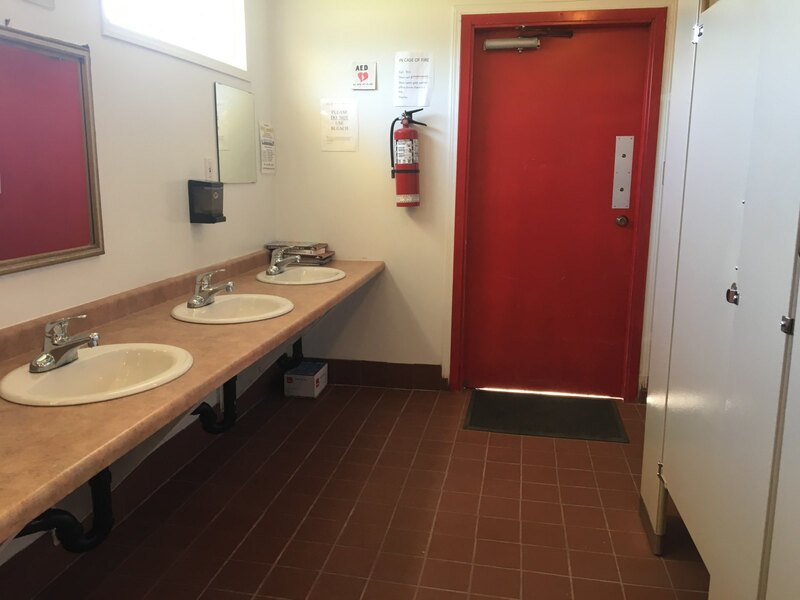 We Have newly renovated and updated washrooms complete with contrasting tile in the showers, new sinks and faucets, and low consumption toilets! Take a look for yourself with The pictures on the left! 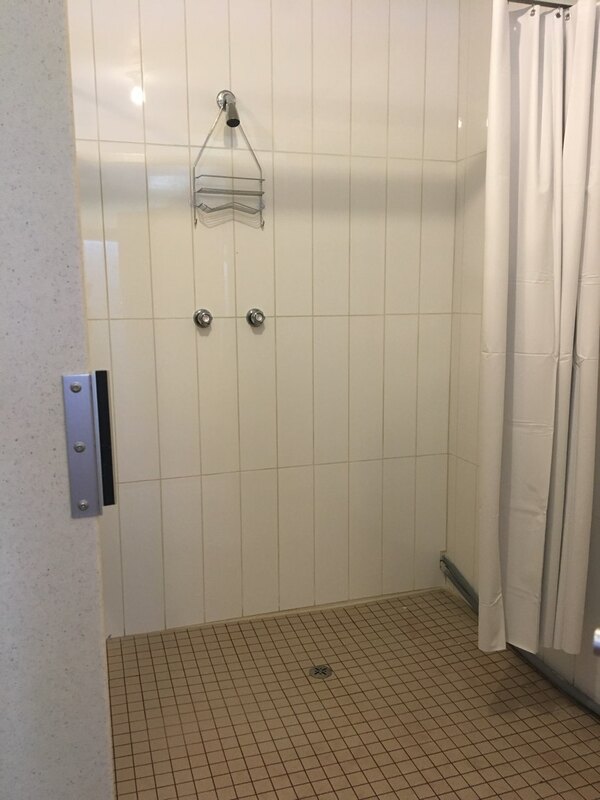 Our washrooms include coin operated showers so you can stay clean all summer! 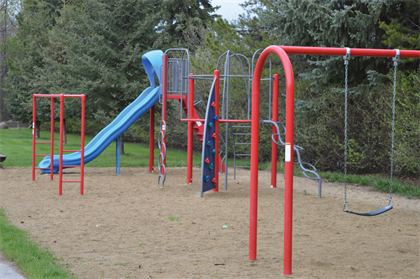 Our new play park for kids at the eastern side of the grounds includes a climbing tower, double wavy slides, monkey bars and swings! There’s lots of room to play in the sand and benches around the area to watch and supervise! 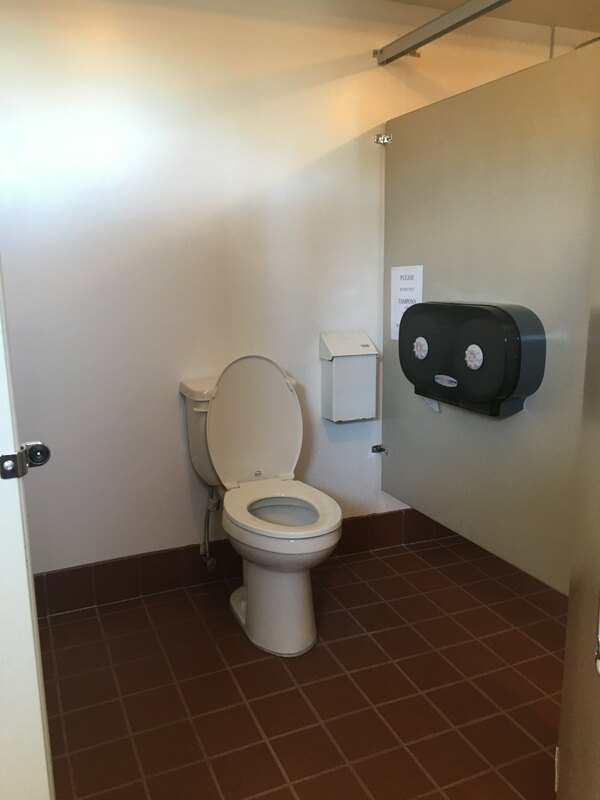 We would like to highlight these local businesses for their hard work on our newly renovated washrooms. 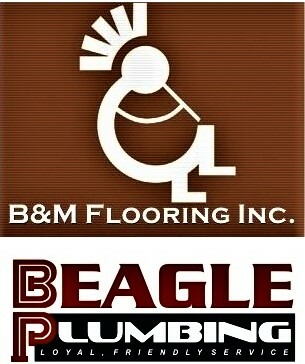 Thank you to Matt at B&M Flooring for the excellent wall tile in the showers and floor tile throughout, and Steve at Beagle Plumbing for installing all of the new toilets, sinks and faucets. We appreciate all your work!